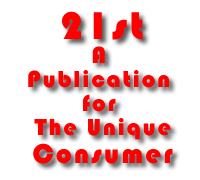 21st-Wireless Computing, Ubiquitous or Promiscuous? Wireless Computing, Ubiquitous or Promiscuous? Like never being too rich or too thin, the wireless communications providers can never have enough capacity for their various services. So, in addition to using digital techniques for adding more voice calls, cellular providers are also giving their users special data-only channels. This new cellular data domain is called CDPD. Cellular Digital Packet Data piggybacks onto existing analog cellular systems. When no one is talking, CDPD slips in a few data packets, 19.2 Kbs at a time. Sniffing out idle air time is no mean trick. But one company, Steinbrecher Corp., has a unique system, called a Steinbrecher radio, that can scan any range of frequency spectrum, and in real time, instantly detect which channels are free. Not so surprisingly, McCaw has bought about 10% of this innovative, Massachusetts-based company. At the end of 1995, McCaw's Air Data division had installed Steinbrecher radio gear on nearly all of its CDPD-equipped cellular systems around the country. CDPD has a low monthly cost, as well as a per packet charge. For McCaw's AirData service, the monthly costs for about a megabyte of CDPD transmitted data are around $100. McCaw also recently 'donated' a new messaging IP-based protocol, called the Limited Size Messaging protocol, to the CDPD Forum. LSM fixes a glaring deficiency within CDPD. The LSM protocol provides CDPD the ability to store and forward, essential for efficiently moving shorter messages. As of the end of 1995, the leading cellular carriers were offering CDPD services in about 50 markets throughout the US, as compared with just 19 markets at the beginning of 1995. In addition, during1995, the cellular carriers had begun to create the all important interoperability agreements to enable seamless, nationwide CDPD service. CDPD users could now roam from one service area to another. The first CDPD providers to establish such an agreement were Ameritech and GTE Mobilnet. Even with more efficient digital use of limited bandwidth, cellular requires costly high towers, incurs higher channel costs, demands higher real estate rental fees, and big equipment outlays. Thus, cellular base stations are expensive to build and operate, costing anywhere from $50,000 to $1.5M. More than that, these 800 MHz radio stations are basically 'hard wired'; that is, they are very difficult to modify to meet new user demands, or to implement new services. So, as good as digital cellular service might eventually become, it is still a system with roots in an older, analog past. The roots that bind surfaced rather visibly during the initial roll out of digital cellular in 1994/95. User reports, and articles in places like the New York Times, gave the impression that the new digital cellular system was a fiasco. But reports of digital cellular's premature death were probably exaggerated. The technology's next generation, due sometime in 1996, promises to fix many of the problems, which centered mostly on poor voice quality. The next generation digital cellular technology also promises new features such as caller ID, caller authentication, and voice privacy. How quickly these new digital cellular services can be reliably deployed is another matter. Finally, even cellular's CDPD is seen by many as a short sighted, interim solution. For example, AirTouch, a CDPD service provider, recently abandoned the market. The newer, all digital CDMA (Code-Division Multiple Access) systems, which deliver the data goods at 56Kbs (as opposed to CDPD's 19Kbs) are seen by many in the industry as the logical successor. But the CDPD Forum does not see these new CDMA services as being a competitor. Other CDPD forum members, like Bell Atlantic, NYNEX, and McCaw Cellular, are also bullish on CDPD. Nonetheless, the rapid rate of technological change may soon wipe out any future digital cellular market advantage. The next big thing in wireless telephony will undoubtedly be the new, all digital, PCS (personal communications services) micro-cells. Many people think that PCS, as originally called for by the Federal Communications Commission's (FCC) Notice of Inquiry, prescribed a specific digital technology. This is not so. The FCC had called for a PCS system that encompassed a very broad range of radio communications services which, in toto, untethered users from their landline telephone wires. But exactly how, and by what technologies, the user was set free were not specified by the FCC. Essentially, the FCC called for the creation of new "a person-to-person, rather than station-to-station" infrastructure. Most fundamentally, the idea behind PCS is to give users the telephone equivalent of their lifetime social security number. This personal access code (called a Universal Personal Telecommunication number) would follow you around no matter where you happen to be in the country; or one day, in the world. Thus, calls follow you about, instead of your chasing the caller. The very broad FCC interpretation opened the way for operators and manufactures to dream up as many types of PCS systems as possible. But as had already happened in digital cellular system, the two primary competing 'air interface' standards for PCS are TDMA, and CDMA (see sidebar). The 1.9 GHz PCS micro-cell promises lower overall costs, even though three to five times as many cells are needed to cover the same area as one macro-cellular system. But because the new hierarchically-deployed micro-cell structures require less power, are more flexible, and need much smaller antennas, the cost to implement a PCS cell is only around $5,000; much less than cellular systems. And greatly unlike cellular systems, PCS micro-cells will also be going inside buildings. For the user, PCS systems mean much greater access, lower cost, lighter weight, and longer battery life for their phones -- Not too mention the implications of an all digital system for millions of data hungry, computerized nomads. PCS will push out data at 19.2 Kbs, the same as CDPD, and will likely go much higher. Moreover, PCS phones will support simultaneous data/voice transmission. PCS users in the U.S. will also have company, if not compatibility, with their PCS European counterparts, where the system is known as PCN (Personal Communications Networks). In the UK, where PCN was first implemented, it operates at 1.7/1.8 GHz. The entrenched cellular providers have a huge investment in their systems. They are not about to scrap it all overnight. So, when PCS really starts to come on line in 1996, expect to see the established cellular services make a mad dash for the consumer's money. The result should be even more fierce competition, and vendor self-cannibalizing (if not outright self-destruction). It remains to be seen if the largest single winner of PCS licenses -- the Sprint Telecommunications Venture, which combines Sprint with three cable TV companies -- still comes out on top after the wireless dust has settled. Sticking a wireless modem into your lap top system is probably the easiest single way to get into mobile computing. If you already are, or are a wannabe, Mad Max Road Warrior, then you have a large number of available choices. You can purchase a highly flexible modem like Sierra Wireless's PocketPlus, and its corresponding Windows-based Watcher software. This product combination yields three TCP/IP communications options: CDPD, Circuit Switched Cellular (CSC), and regular wireline. During a 19.2 Kbs CDPD data exchange, the connection from your modem to the host is always up, so response and transmission times are fairly fast. Pacific Coast Sciences (San Diego, CA) also offers its Ubiquity modem products that support CDPD and CSC in the same unit. Circuit Switched Cellular (your basic cellular phone call) can cost somewhat less for large data transfers than RAM or ARDIS. The only problem with this type of 9600 baud channel is that it can take up to 30 seconds to establish a CSC connection before transmitting data. CSC data calls are billed just your like ordinary cellular voice call. But if its RAM Mobitex services you want, then you can buy the IBM/Ericsson M2190 PCMCIA (Type III) wireless modem with integrated modem, battery, and antenna. For an ARDIS connection, another PCMCIA (Type II) slot possibility is Motorola's Personal Messenger 100D, which also integrates an intelligent two way wireless modem with battery and antenna. The PM 100D also continues to download data into its memory even if it's not plugged into your computer. For those LAN-based PC users who want to go wireless, but who also want to continue to use LAN standard transfer agents, like Novell's MHS (Message Handling System), Motorola offers its AirMobile client software. Over 150 applications are compatible with MHS. Via Motorola's AirMobile Communication Servers, you can quickly integrate and wirelessly enable your mission critical LAN applications. For a complete line of wireless, wide area networking integration products, also check out TEKnique (Schaumberg, IL). This company's goods also cover wireless TCP/IP gateways through Mobitex, CDPD, ARDIS, and CSC. Finally, if you are a mail order catalog junkie, then by all means call Totally Wireless (1-800-96-WIRELESS). This catalog offers a dizzying array of wireless products, from pagers, to e mail, to cellular modems, to PDAs, to wireless communications, to GPS location receivers, and even Direct Broadcast Satellite products. The PDA wireless game really boils down to a handful of players. Apple's Newton, and General Magic's Magic Cap systems (like Motorola's Envoy) are probably the most well known. Microsoft, of course, had its WinPad PDA disaster, shelved due to cost and performance problems. But in true Microsoft we-never-give-up style, it keeps plugging away at it. The latest MS PDA attempt is code-named Pegasus, due out sometime in the first half of 1996. Little is known about Pegasus, except that it appears to be a 2 - 4 MB version of Win95, and will support a PDA 320 x 240 pixel screen with four levels of gray. Supposedly smaller than a Newton, Pegasus PDAs will nonetheless include a keyboard, and also include some support for pen input. What provisions are being made in Pegasus for wireless connections are not known at this time. But if any of these PDAs are to fulfill their market mission, all of them will need big improvements in their battery life; have to become more robust; get much smaller; offer high quality voice recognition; and seamlessly support wireless paging/PCS/CSC services. Microsoft, of course, was not the only PDA supplier to hit a snag or two on the way to market. The first Apple Newtons were less than a stellar success. But the latest Newton variants seem to have fixed many of the most glaring problems; including much needed fixes to its handwriting recognition system. General Magic also had its PDA problems in 1995, undergoing a major shift in key personnel, as well as in market strategy. General Magic (GM) decided to dump its all-or-nothing, all-in-one, Magic Cap interface/Telescript strategy; and instead moved its Telescript language into the market as a stand-alone product, with the Internet being an especially attractive market target. In addition, GM has plans to support its Magic Cap desktop metaphor on other operating systems, notably Win95. To what extent GM can break free of the AT&T Personal Link services and Magic Cap restrictions remains to be seen. According to GM, to create intelligent agent-based applications, Telescript would need to be designed into a Web site. Telescript is server driven, unlike Java, which is client-oriented. Telescript need not be designed into Web browsers. However, GM says such incorporation may enable enhanced capabilities. GM thus intends to pursue an 'open' Internet strategy. But if the new GM business focus is Telescript agents on the Internet, then it faces formidable competition in Sun's new Java language. Java can also be used for creating agents, is free, and is garnering wide support on the Internet. Java is already a standard feature of Netscape Navigator 2.x , for example. Ubiquitous Computing is not roaming mobile laptops, intelligent agents, PDA's, pagers, nor PCS/Cellular telephony. Xerox perhaps states it best: "Ubiquitous Computing is the idea of invisible computation everywhere enhancing life in the real world. This idea is also sometimes called 'Ubicomp' and 'Embodied Virtuality." Ubicomp helped kick off the recent boom in mobile computing research, although it is not the same thing as mobile computing, nor a superset nor a subset. Ubicomp theory predicts that the number of computers you interact with on a daily basis will soon amazingly multiply, like so many digital gerbils. "We believe that people live through their practices and tacit knowledge so that the most powerful things are those that are effectively invisible in use. This is a challenge that affects all of computer science. Our preliminary approach: Activate the world. Provide hundreds of wireless computing devices per person per office, of all scales (from 1" displays to wall sized). This has required new work in operating systems, user interfaces, networks, wireless, displays, and many other areas. We call our work "ubiquitous computing". This is different from PDA's, dynabooks, or information at your fingertips. It is invisible, everywhere computing that does not live on a personal device of any sort, but is in the woodwork, everywhere." Peter Drucker once pointed out that a new technology cannot displace an old one unless it is proven to be at least ten times better. Otherwise, the inertia of the massive capital investment in the installed base, as well as the engineers responsible for supporting the old system, will prevail, and thus block the new system's adoption. Be that as it may, history has also shown time and time again that even a ten X improvement may not be necessary to displace another technology. For example, do you really think the first version of IBM/Microsoft PC DOS was ten times better than the C/PM system it displaced? When a market is ready to move en masse, it just goes, and not much can stop it. The same thing may be about to happen. So watch carefully. History may once more be in the making.